This doesn’t show Elaine, but it’s the episode she appears in. Does anyone actually know how old Bruno Mars is? Elaine has been the Editor in Chief of Teen Vogue since 2016. She’s recently stepped down from the position to pursue other career paths. She was the first black woman to take on this role and her impact didn’t stop there. Throughout her time as Editor in Chief, Elaine has brought real issues to the forefront. Now, unto this interview. I’ll be posting the actual video on my personal blog, Life Update. Q: What got you into fashion and what inspired you to be part of Teen Vogue? It was an evolution. It wasn’t like I knew graduating from college that that was the job I wanted or even could get. It felt like a dream too big to even say out loud. As with anything in life, you take one step at a time and then the next step becomes physical, it takes shape. By the time the opportunity with Teen Vogue came around, I had already understood the lay of the land in terms of working in media and where I would fit in. I actually started at Teen Vogue as the Beauty and Health Director so I was on the beauty side of a fashion magazine. What I learned about the role of being editor in chief that inspired me more than fashion itself was the idea of telling people’s stories and telling stories that matter. You’re sort of a cultural agenda setter as an editor. You not only get to elevate certain stories, you elevate storytellers. You get to decide who’s going to tell that story. I think being a part of changing the narrative around young people, around young people of color, around underrepresented voices at a very pivotal time in our country at Teen Vogue was the opportunity of a lifetime. I came into it thinking “But I am not a fashion person with a capital F.” It was intimidating at first but I realized that I am called to bring who I am to this job and what I can do, no one else has done. So let me stay in my lane and do what I know well, what I know best. I think that was my mantra throughout that experience. I think I was able to change what it meant to be a fashion magazine for young people at that time because I wasn’t coming from a fashion background. Don’t get me wrong, I love fashion. I love personal style. It wasn’t necessarily that I was gunning to work in fashion, per say. I wanted to be a writer and I wanted to be a storyteller. I found that being a magazine editor first was the best first step. Q: What is your advice for aspiring journalists? Learn how to do every job. Learn how to hone your voice and don’t wait for opportunities, create them. Q: Are you thinking about joining the staff of Grownish full time? A: Being part of the writer’s room is a full full full-time job and the writers are so talented. I just feel honored that I got an opportunity to spend a week with them in the trenches. I felt like I was parallel pathing another career, moonlighting as a TV writer. It was really a great experience and the show is awesome. I feel like we’ve been waiting a long time to see something like this on TV. I’m proud have had any little part in it. Q: Are you thinking about working in more film and TV? Yeah, definitely. What I learned is that, as an editor in chief, you hover above. You operate at a higher altitude versus being in the weeds writing every single word. I realized, coming out of that experience I’m actually interested in producing, executive producing, and maybe one day directing. I think it’s about seeing the holistic picture and being able to put all those pieces together. I’m reading scripts now and definitely looking to move into more of the TV and film space. I’m so thankful to have had the opportunity to meet and interview Elaine Welteroth. Hearing her in person and on stage was great. Be The Change was a truly inspiring and uplifting event. Brittany Packnett, Abby Wambach, and Glennon Doyle were also wonderful speakers at Be The Change FAU. 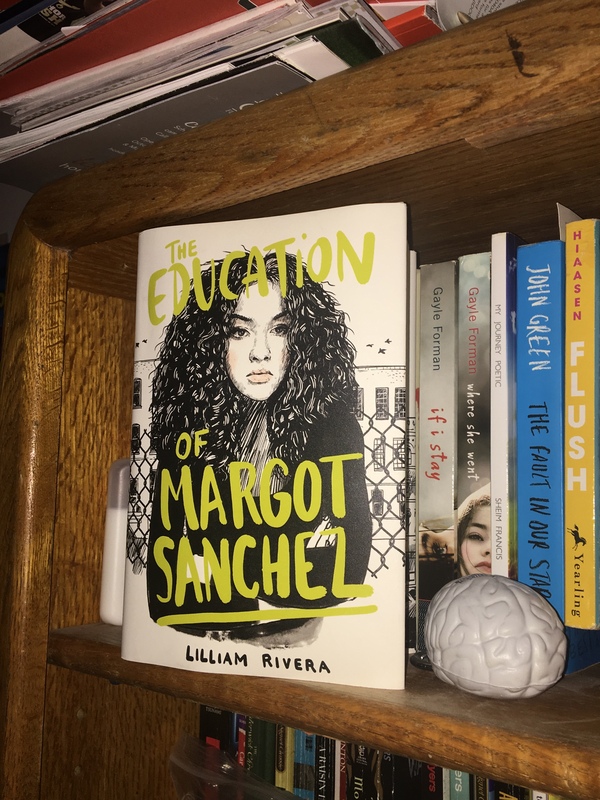 The Educated Negra • This entry was posted in Entertainment and tagged Discussion, Entertainment, Fashion, Grownish, Interview, Representation, Teen Vogue. Bookmark the permalink.